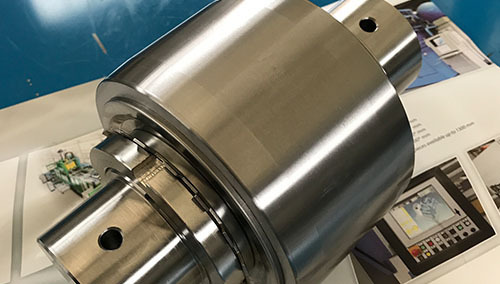 High precision tapered crossed roller bearing mounted on a vertical lathe. 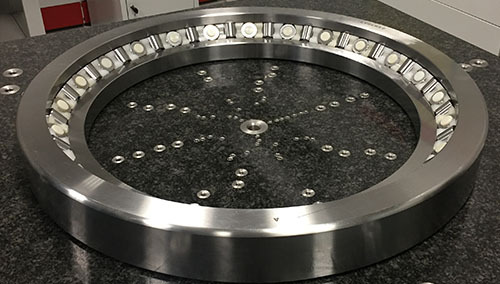 Stainless steel track roller with stud used for supporting and rotating silos diving in marine water. It featuers a variety of stainless steel caps (NILOS ring) and VITON contact seals. 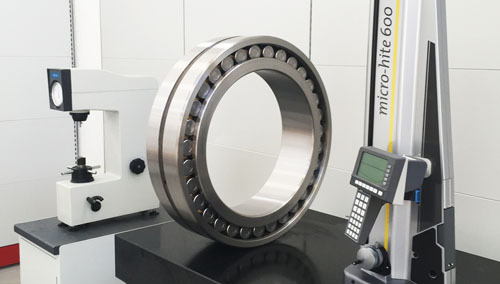 Precision cylindrical crossed roller bearing for bi-rotary milling head. 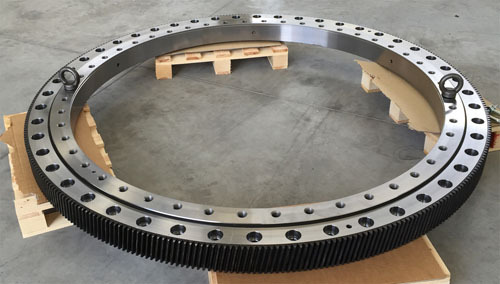 High precision slewing ring with ground helical outer gear used in the military field. 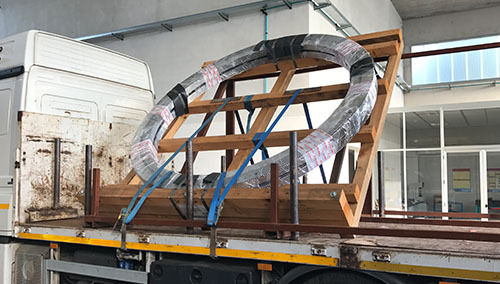 Outer diameter 2.800 mm. 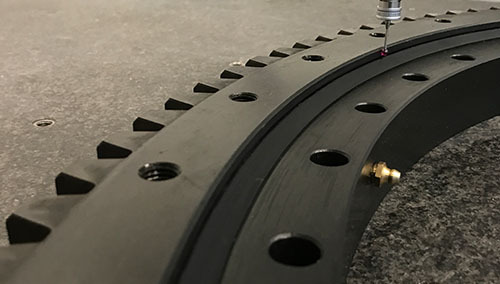 Axial-radial rotation precision: 0,08 mm max. 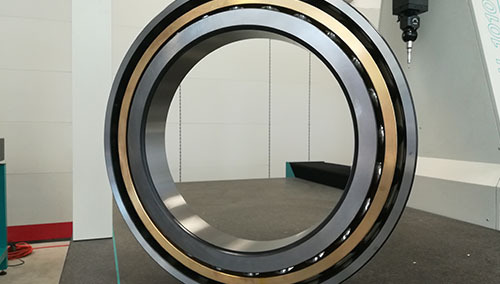 High precision cylindrical roller bearing with massive solid-brass cage (“SP” class according to DIN 620). Used on machine tool. Standard precision angular contact bearing, one ball row for machine tool spindle. 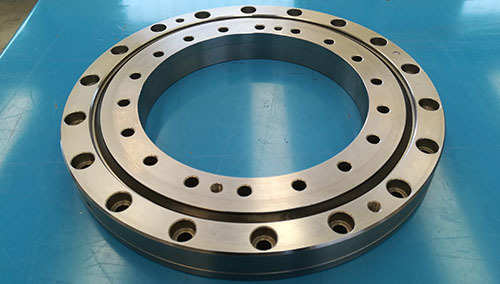 High precision three roller row slewing ring. Used on machine tool. 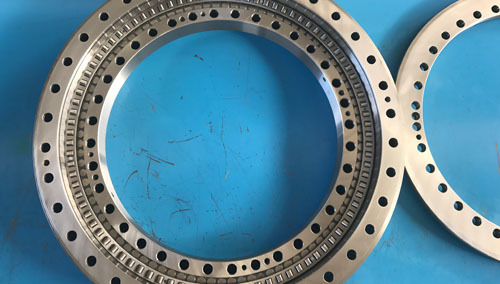 Slewing ring subjected to phosphating with outer gear for industrial plant. 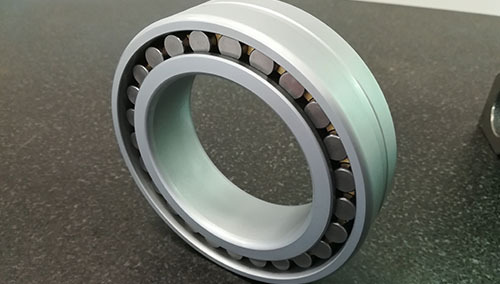 Medium size standard spherical roller bearing for gearbox. One ball row slewing ring with tilted gear (ß=15°) and hardened by induction for welding ring plant for aerospace use. Material of the rings: 42CrMo4( W.Nr.1.7225) quenching. 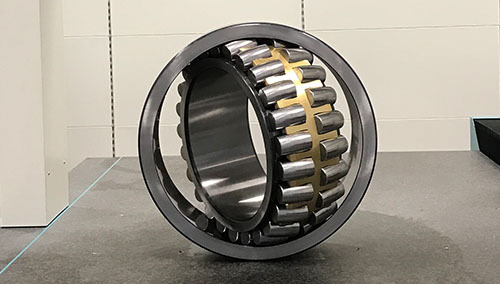 Cylindrical rolling bearing with high precision solid brass cage (“SP” class according to DIN 620) for chuck of turning mill. Material of the rings: 100CrMn6 (WNr.1.3520) hardened and with high hardness.